I mentioned that 2 new dogs had arrived on Saturday, and to be honest I was almost certain that this little girl would have been reclaimed today. However no one has contacted us about her, and although this could still happen, would you wait 3 days before looking for your dog, let alone one this sweet? Dia must have had an owner until recently. She is very well groomed and is not thin, nor is she shy or nervous of people. In 8 days time she will be up for adoption. 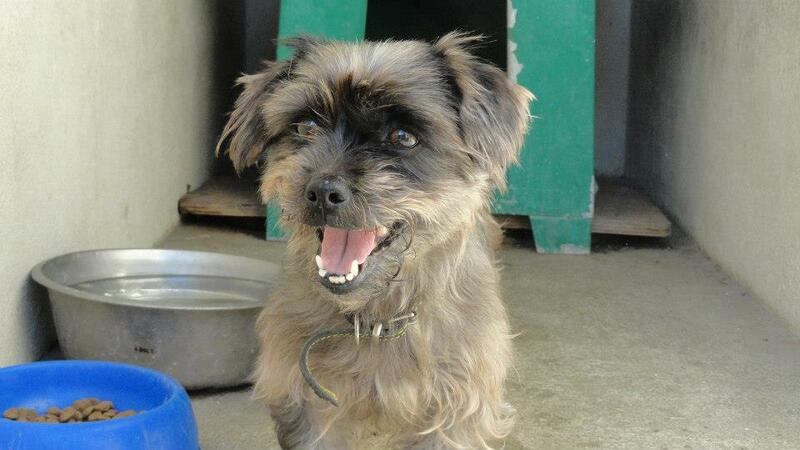 Dia is a tiny girl, the kind that is snapped up very quickly. She probably weighs 6kg or so. We are trying to find her owners, but if they aren’t looking, then maybe they don’t deserve this lovely little lass. During her obligatory time in “the Pound”, Dia cannot be adopted, but she can be reserved. So if you, or anyone you know is after a tiny female, this could be a perfect chance!